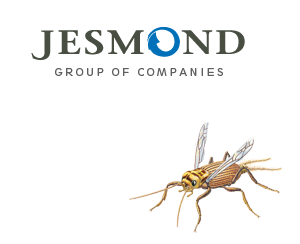 All agreements and/or orders are based on the rules as stipulated in the Terms and Conditions of Sale of Jesmond Holding AG and its affiliates including Jesmond Bioscience GmbH (“SELLER”) as set forth hereunder. The terms of purchase of the clients of SELLER shall not prevail over these terms and conditions under any circumstances. Offers and prices are without commitment. Orders are considered binding only after written confirmation of the SELLER or if the order is actually processed by SELLER. Oral agreements shall be confirmed by SELLER in writing in order to be effective. Prices are net and exclusive of any applicable taxes, unless otherwise stated. Any official charges or acts of authorities have to be borne by the client (hereinafter referred to as “BUYER”). Unless otherwise indicated, packaging material is not returnable. Unless otherwise agreed, all payments shall be made within thirty (30) days of delivery to SELLER’s bank account as indicated on the order documentation without deductions or charges. If the date of required payment is exceeded or in case of delayed acceptance or “Terminverlust” (as defined below) SELLER shall be entitled to charge default interest and compound interest in the amount of 8 percentage points above the base rate of the Swiss national bank. In case of default BUYER shall be obliged, in addition to default interest, to reimburse all procedural and non-procedural costs of collection, which shall also include the fees of a lawyer commissioned by SELLER. In the event of any failure by BUYER to make payment on the due date, any loss suffered by SELLER especially due to depreciation of currency after such date shall be recoverable from BUYER. “Terminverlust” shall be deemed occurred if the contracting party is in delay with a payment under the contract. In this case SELLER may immediately declare the entire remaining invoice amount due for payment. Moreover, the total residual claim of SELLER shall immediately become due for payment without regard to payment periods if execution is levied on the assets of BUYER with no success, if a forced sale of real estate or receivership is allowed, or if creditworthiness is otherwise reduced (in particular in case insolvency proceedings are opened). In these cases SELLER shall be entitled to render outstanding services only against advance payment or furnishing of security or to rescind the contract without granting a grace period or to claim damages on grounds of non-performance. Setting-off of claims against counterclaims or retention of payments for whatsoever reasons by BUYER shall not be permissible unless expressly agreed. The delivered object of purchase shall remain the property of SELLER until full payment of the purchase price (including value-added tax, default interest and costs). In the case of processing or commingling, co-ownership shall be established in proportion to the shares at the time of processing or commingling. If BUYER does not (co-)own the principal item, BUYER hereby assigns all claims vis-à-vis the owner of the principal item for the purpose of securing SELLER’s claims. Irrespective of the place of performance, benefit and risk shall pass to BUYER upon dispatch of the object of purchase or parts thereof from SELLER’s warehouse, unless otherwise agreed in writing. In case of delayed dispatch from SELLER’s plant or warehouse which is due to circumstances for which BUYER is responsible, or if collection by BUYER has been agreed, the risk shall pass to BUYER upon notification of readiness for delivery or shipment. The risk of transport shall in any case be borne by BUYER, even if delivery carriage paid was agreed with its own or third-party means of transport. A transportation insurance shall only be taken out upon written advise by BUYER and only on BUYER’s account by SELLER. SELLER’s weights and analysis taken at the point of manufacture shall govern. Unless otherwise agreed on the face hereof, SELLER reserves the right to route shipments. If by reasons of force majeure, including but not limited to lack of stock, fire, explosion, war, hostilities, epidemic, quarantine restrictions, labour disputes, labour shortages, unexpected increase in the production costs and/or raw materials costs, transportations embargoes or failure or delays in transportation, inability to secure necessary fuel, raw materials, equipment, component parts or machinery, natural disasters or acts of any government, including changes of legislation or any delivery problem due to its own suppliers, SELLER is prevented from carrying out its obligations with regard to Orders/Contracts, SELLER shall not be liable in any way for failure to perform or delay in performing their respective obligation under these terms if such failure or delay is due to circumstances beyond reasonable control of that party. There are no warranties which extend beyond the description in the agreement and/or order, and SELLER shall make no warranty of any kind, express or implied, whether of fitness or against infringement or otherwise, except that the materials sold hereunder shall be of merchantable quality and shall comply with the specifications set forth and/or attached; and BUYER shall assume all risk whatsoever as to the result of the use of the materials purchased, whether used singly or in combination with other substances. Notice of defects shall be given by BUYER immediately, but not later than 10 days after delivery of the object of the purchase or after the defect has become obvious, by registered letter stating the nature and scope of the defect; otherwise any claims shall be excluded. If notice of defect is not given or not given on time, the goods shall be deemed accepted. SELLER shall only be liable for intent and severely gross negligence. SELLER’s liability for lost profit or consequential damage shall be excluded. BUYER shall prove cause, illegality and fault. Claims for compensation shall become time-barred within six months of knowledge of the damage and of the party who caused the damage, in any case one year after passing of the risk. The amount of any claim raised by BUYER shall not exceed the purchase price of the materials in respect of which damages are claimed. SELLER shall not be responsible for BUYER’s infringement of patents owned by others; the sole responsibility regarding infringement of any patents lies with the BUYER, who agrees to assume all and any consequences thereof. If the manufacture, transportation or delivery of any materials covered hereby is prevented, restricted or interfered with by reasons of any event or cause whatsoever beyond the reasonable control of the party so affected, SELLER shall be excused from making deliveries hereunder to the extent of such prevention, restriction or interference. SELLER may allocate its available supply of any such material among its customers in such manner as SELLER deems proper, without thereby incurring liability for failure to perform this contract. SELLER shall inform BUYER upon such delay. Rights of recourse shall be time-barred within three years of obtaining knowledge of the damage and of the party who caused the damage, however not later than five years of putting the product into circulation. This contract shall be construed, and respective rights and duties of BUYER and SELLER shall be determined at the competent courts of Switzerland, according to the laws of Switzerland. The language to be used in the proceedings shall be English. If BUYER’s registered office is outside the European Union (EU) or the EFTA States, all disputes arising out of or regarding the present contract shall be finally settled under the Rules of Arbitration of the International Chamber of Commerce by one or more arbitrators appointed in accordance with the said Rules. The place of arbitration shall be Vienna. The language of the arbitration shall be English. The arbitral tribunal shall decide in accordance with Swiss Substantive law. No statements, whether in oral or written form, made prior to at the time of receiving this agreement, shall vary or modify the written terms hereof; and neither party shall claim any modification or rescission from any provision hereof unless such modification or rescission is in writing and signed by the other party. Failure of SELLER to exercise any right under this contract shall not be deemed a waiver thereof. Unless otherwise agreed, all deliveries by SELLER shall be Ex Works (Incoterm: EXW).